As Data Analyst, you will be responsible to help the bank in the Fight Against Financial Crime by discover the information hidden in vast amounts of data and help us make smarter and risk management-oriented decisions. Your primary focus will be in applying data mining techniques, designing scenarios and rules to catch financial crime patterns as well as working on false positive reduction strategies. Development of interactive dashboards is also needed. Interpreting data, analyzing result using statistical techniques and providing on going reports. A degree in field of Mathematics, Computer Science, Statistics or Economics with minimum 5 years’ experience. Possess experience in Data analysist work with large amounts of data: facts, figures, and number crunching. Ability to write comprehensive reports. Data analysts are often called to present their findings, or translate the data into an understandable document. Ability to identify, analyze and interpret trend or patterns in complex data sets. Data analysts must look at the numbers, trends, and data and come to new conclusions based on the findings. This position is responsible for developing and implementing best-in-class consumer experience into the Bank’s web and mobile app-based projects. Maintain highest level of innovative design execution. Accountable for leading and/or supporting the conceptual, strategic and design development of multiple small- and large-scale projects and maintain deliverable schedules for timely completion of projects. Bachelor’s Degree in design, Computer Science, or equivalent. Angk Snoul District Branch (2 posts). Angk Snuol District Branch (1 post ). Independence Monument Branch, Phnom Penh (1 post). Cheung Prey District Branch (1 post). 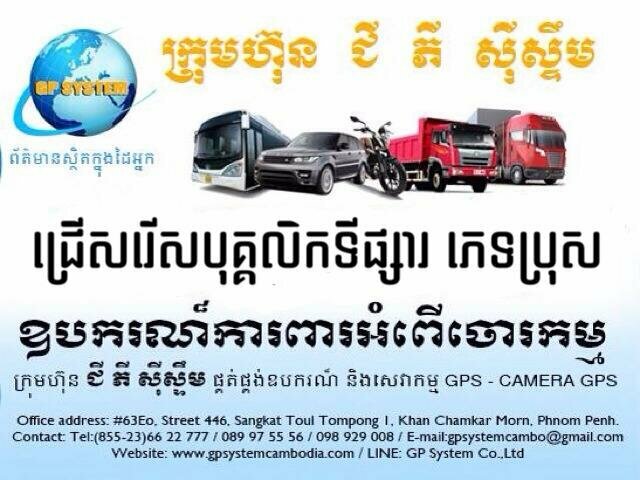 Krong Siem Reap Branch (2 posts). Phsar Derm Thkov Branch, Phnom Penh (1 post). Russey Keo Branch, Phnom Penh (1 post). 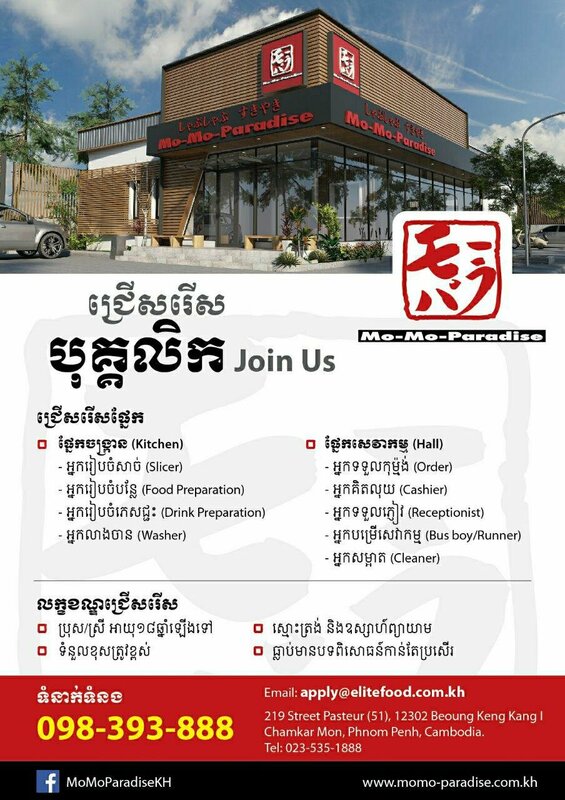 Toul Kork Branch, Phnom Penh (1 post). Koh Kong Branch (2 posts). Conducts loan appraisal and collects detailed information (personal, business, and guaranties) and arrange to open new loan account. Ability to communicate and to maintain good relationship with the client. At least 1-year prior experience in credit department in commercial banks. Senior Compliance Officer is responsible for operations of Compliance (transaction monitoring) to be in line with the NBC and BNC standard to achieve the objectives of Compliance Department. S/he will ensure all banking products and services development and core business areas as well as operational activities are compliant ABA Bank’s policy. Perform watchlist and sanction alert clearance and perform mitigation measure according to the result. Perform transaction alert review, conduct financial investigation and report suspicious transaction according to transaction monitoring procedure. Together with other team members, support branches for any queries related to AML/CFT. Perform investigation on fraud alert and participate in resolution process. Supervise compliance officers by reviewing the tasks, advise and coach them. Other tasks will be assigned by supervisor from time to time. Bachelor’s degree Finance and Banking or equivalent qualification. At least 1 – 2 years’ experience gained in banking industry preferably, account opening, teller, remittances, money exchange or compliance. High integrity and able to work with confidential data. A Compliance Officer is responsible implement AML/CFT framework, policies and procedures approved by the bank. S/he will perform transaction monitoring or risk profiling or screening or risk assessment and escalated potential suspicious transaction or specific risk to line manager for further action. Head Office, Phnom Penh (08 Posts). Perform enhance due diligence on higher risk customer according to EDD framework. 1-year experience gained in banking industry (is a plus) preferably, account opening, teller, remittances, money exchange or compliance. Junior Micro Business Loan Officer is responsible for processing and analyzing Micro Business Loan applications and conduct credit investigations, reports and more. Koh Kong Branch (3 posts).